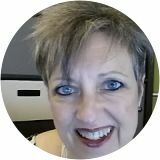 Central Texas writer Brenda Stone has been writing how-to articles about self-employment and topics of interest to America’s notaries public for nearly a decade. In 2006, she self-published two niche market e-books about self-employment and running a mobile notary and notary signing agent business. Since that time, Stone’s articles about self-employment as a mobile notary, current events, and modern notary issues have appeared monthly in e-newsletters and a popular ezine for notaries. She believes in being authentic and says that if you don’t walk a mile in a notary’s shoes, you have no clue what they go through. She continues to seek and perform notary work and inspection assignments so that she can remain connected with her audience and their needs.